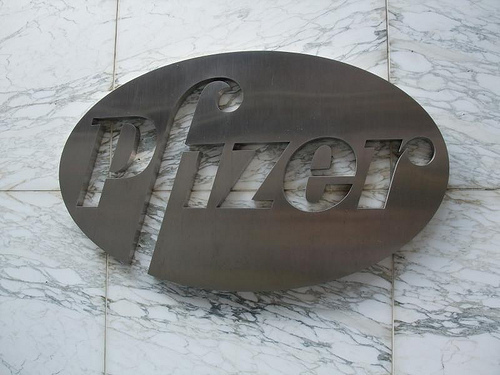 Pfizer Inc., the world’s second largest drugmaker via revenue, announced that the FDA will allow them to apply early for approval for their new breast cancer drug, based on the results of the drug’s mid-stage patient testing in the drug study PALOMA-1. Basically, this means that Pfizer will, most likely, not be required to conduct even bigger and highly expensive late-stage patient testing studies that could delay Pfizer’s application at least a couple of years. This delay would force patients and doctors to wait even longer for the new drug, which, ultimately, reduces the gross amount of money the drug could bring in for Pfizer before its limited 20 year patent expires. Essentially, the drug in question is palbociclib, combined with a drug called Femara (or letrozole). It is intended to be used for treatment of postmenopausal women with a specific form of highly developed breast cancer. Research thus far has shown that, by combining these two drugs, palbociclib and letrozole, patients, on average, were able to survive 20.2 months before the tumors worsened. This is about twice as long as the patients who receive only letrozole. Researchers have high hopes for the efficiency and success of the drug. Currently, if all goes according to desired plan, palbociclib will launch in 2015 with sales surpassing $1.9 billion by 2020. This drug is looking so optimistic, in fact, that, the day this early approval possibility was announced, Pfizers shares jumped up 1.7% and were up 15 cents at $29.21 by the time mid-afternoon trading occurred.